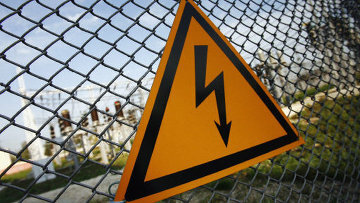 Energy to Crimea: Stupidity and Sabotage | Russian Legal Information Agency (RAPSI). In mid-December, Russia established the second link of an “energy bridge” between Russia’s mainland Kuban region and Crimea, a peninsula geographically connected with Ukraine. The first link was set for repairs a few days earlier. The repairs were needed only 10 days after the bridge’s grand opening. Local residents immediately felt the effects of the new limitations on sending electricity to the peninsula – after all, in such situations it is acceptable to first cut off power to the residential sector in an effort to keep the lights on in strategic and public buildings. But the inconvenience to the residents wasn’t all that was amiss. Crimea suffered a massive blackout on the night on November 22, 2015, and the worst of it lasted until December 2. The blackout had been expected a year and a half earlier, at the moment that Russia annexed the peninsula. It’s difficult to argue with the professionals: if for decades more than two-thirds of the electricity supplied to the peninsula came from Ukraine, then at the moment that relations with Ukraine were damaged, troubles were sure to follow. The authorities at both the local and federal level had the time and the money to fully establish a reserve of electric power to Crimea – possibly not to every building, but surely a large number of them. But the opportunity was missed. At the onset of the blackout, numerous backup generators were not connected and many had simply disappeared, as did the federal funding for electrifying the peninsula. This story began with final bursts of fireworks at the Sochi Olympics. As soon as the fanfare was over, it became clear that all attention should be turned to nearby Crimea, which had been brought under Russian control in recent days. The peninsula was in jeopardy of an energy blockade. This was obvious even to schoolchildren, to say nothing of the officials in charge of making decisions on a federal level. A solution was found almost immediately. All the Olympic facilities had reserve power supplies, in case the region’s unpredictable subtropical climate and its foothills should cause a lapse in power from a local plant. The bobsled track, for example, was powered by five reserve diesel generators for a combined capacity of more than 3 megawatts. The indoor skating center in Sochi’s Adler district was powered by another five generators for 5.7 megawatts, and the main storage facility was powered by 11 generators for slightly less, 4.7 megawatts. The Sochi Games went off without a hitch, but problems were expected in Crimea. On March 10, 2014, the regional energy provider Kubanenergo (a subsidiary of state-controlled power company Rosseti) sent a letter titled “Urgent!” to the operators of the diesel generators. Several commercial companies (Complex Energy Systems, VDM Service, NTT Center, the Megen Company, NG-Energo and Powers Technologies) were asked to immediately lease out all their diesel generators in Sochi and help supply the equipment to Crimea and set it up there. Of those companies, NTT Center is worthy of special attention. The Moscow-based company was the largest provider of reserve electric power to the Sochi Olympics and, as if by inertia, became the same in Crimea, providing the peninsula with 114 generators for a total capacity of about 90 megawatts. That amounted to about a third of all the reserve capacity that was relocated to the peninsula in spring 2014. In connection with the urgency and the importance of the issue, Kubanenergo (which compiled another entire lot of mobile generators for Crimea) promised the businessmen full-fledged contracts for renting the equipment at market rates. However, agreeing on the fine print was postponed because of the urgency of the issue. Business is business. Even a child can understand muscling in as a way of doing business. But who’s brave enough to fight the system? No one, of course. And this is why the businessmen didn’t really object, and moreover the initial communications were courteous with a sense of earnestness. A preliminary agreement was reached on March 12, 2014, and after only two days began the signing of acts of shipping and receipt of equipment. The generators’ nominal owners and Kubanenergo split the shipping costs. This was also done out of a certain sense of hopelessness: capable authorities in Crimea had not yet been established (not even considering the “polite people” militiamen who were occupying the peninsula), and thus specialized transport companies simply refused to ship to the region. Notably, NTT Center acquired a large number of the diesel generators for the Sochi project under leasing deals with third parties, not only Russian but also foreign (including Dutch and Egyptian). And remember that abroad, the unification of Crimea with Russia was not approved, to say the least. For this reason, by transporting the generators to Crimea, NTT Center strongly risked not only its reputation but also the possibility of forfeiting its agreements with its partners. Furthermore, only a small portion of the generators rented by NTT Center were returned to their original owners. Many of them ended up in completely different hands, where they remain to this day. In spring 2014, the generators’ suppliers still hoped that they would be compensated for their expenses. At a meeting in Russia’s Energy Ministry, officials and Rosseti representatives even announced that they were preparing a special federal order to allocate funding for the renting and purchasing the generators. In April 2014, private suppliers that had shipped generators received a letter from the Energy Ministry with the demand to appraise the value of those generators. The companies quickly presented the data: NTT Center appraised it at 1.27 billion rubles. At that time (with an exchange rate of 32-33 rubles per US dollar), such money did not guarantee very much profit for the businessmen, but it enabled them to avoid incurring losses. “They all naively thought this was the logical conclusion and the equipment would be completely bought up,” a source who participated in the negotiation process told RAPSI on the condition of anonymity. But no one was hurrying to make the rental payments to the businessmen for the already supplied generators. A complete rental agreement had not been signed (only a preliminary one about the intention to reach a deal with Kubanenergo). In the opinion of lawyers familiar with the situation, a complete agreement was not needed. The shipping and receipt documents contained all the terms of such a deal – for instance, the list of the equipment and the size of the rental payment for using it. So, de facto and de jure, there had been an agreement since March. Finally an explanation was found for Kubanenergo. In mid-April 2014, NTT Center’s equipment was under the control of a completely different company, MGTES, also affiliated with Rosseti. The decision for this, according to several participants on the energy market, was made behind the scenes. Sometime in early April at a Rosseti meeting, the head company’s leadership came to the conclusion that MGTES would provide the reserve power sources to Crimea more efficiently than Kubanenergo. Moreover, MGTES already had 17 mobile gas-turbine generators with a combined capacity of 382.5 megawatts. Afterwards, Kubanenergo sent a letter to NTT Center, telling it to reach a rental agreement with MGTES. This company was initially not opposed to the idea, but later unexpectedly changed its position, proposing to sign a deal on safekeeping the equipment. Finally it turned out that MGTES would not pay for using the equipment, but rather the businessmen would pay MGTES for its safekeeping. This series of events did not bring the generators’ owners one iota closer to solving the financing problem. Also it soon turned out that the equipment had already exchanged hands several times. It was recorded on the balance sheet of Crimea’s Fuel & Energy Ministry, and a little while later with the help of the regional Emergency Situations Ministry, it was given out to third parties. It became a hundred times harder to figure out where the generators were physically located and who should hook them up and maintain them – moreover, the multimillion-ruble machinery also had to be insured. NTT Center’s debts snowballed, but by the end of summer 2014 it seemed that a light at the end of the tunnel was approaching. However, no one saw the more than 5 billion rubles. What the money was actually spent on (or whether it was spent) remains a mystery. An official representative of Russia’s Finance Ministry said in response to a question from RAPSI that in mid-August 2014 this money was transferred to the federal Energy Ministry within the framework of budget procedures. The ministry had difficulty saying who the final recipient of the money could be and advised officially redirecting the question to the Energy Ministry. The Energy Ministry would not answer the question. Official representatives of MGTES and Kubanergo did not reply to RAPSI’s questions by press time. As the official answers have not been received, let’s turn our attention to unofficial information. According to several direct participants in these events, the money was split between the state company Rosseti and its subsidiaries. A portion of the money, sources said, was sent through a quickly organized tender to the supplier of a new shipment of diesel generators with a combined capacity of about 100 megawatts. Other companies that had already been waiting for months to be paid for supplied capacity weren’t even partially paid by the beginning of winter last year. The indirect confirmation of the fact that the money from the budget went somewhere it shouldn’t have was the appearance of a second decree by the prime minister’s cabinet on December 9, 2014. The decree, No. 2502, had literally the same goals, to reimburse expenses for acquiring additional diesel generators, hooking them up and maintaining them. For this, the cabinet allocated another 2.14 billion rubles. According to Russia’s Finance Ministry, this money also went to the federal Energy Ministry. In total, according to RAPSI’s data, the government bought generators from private suppliers for over 11 months of this year, from everyone except for the large supplier NTT Center. We requested information about the details of the sales of such equipment from the companies that received payments. Their representatives declined to officially comment, but in unofficial conversations they explained that they were not happy with the terms of the deals with the government and reached such agreements only to get at least some money to cover their losses. The businessmen still most likely incurred losses. Some were completely paid, others not. For the sake of fairness, it should be noted that within the framework of the December decree, the prime minister’s cabinet ensured NTT Center the sale of six diesel generators (of 114) and the return of another 10 to their foreign owners. The rest of the dozens of generators are probably somewhere on the peninsula. According to RAPSI’s data, up to 80 percent of the diesel generators have not been hooked up and are not properly maintained and for many months have been stored under the open sun and have fallen into disrepair. This autumn the management of Crimea’s Fuel & Energy Ministry, sensing trouble, began to undertake some measures. In mid-November, literally on the eve of the blackout, the ministry conducted a tender for technical servicing of the diesel generators that had already been supplied to the region. About 1,500 diesel generators with a total capacity of 250 to 400 megawatts (according to various estimates) were supplied from the Russian mainland in March to July 2014. That could cover about half of the electricity demands of the entire region. The deals foresaw the provision of technical servicing of about 900 diesel generators (or 60 percent of all those relocated). According to unofficial information provided by representatives of Crimea’s Fuel & Energy Ministry, the rest of the diesel generators (about 500 units) were simply stolen or rendered unusable due to incorrect treatment. The contractors were supposed to begin fulfilling their work immediately after the signing the contract with a period of up December 20. The contract provided an advance of 30 percent. The winners of this tender were eight companies, including NTT Center. Because of the serious situation, all of them were told to quickly begin work and not wait for the advances to be paid. At that time, the Crimean energy minister’s seat became occupied by Svetlana Borodulina, an adviser to the region’s head, Sergei Aksyonov. One of her first decisions at the post was to fire deputy minister Yevgeny Dyomin, who managed the project for conducting technical servicing of the generators and conducted the tender. The project’s realization greatly concerned Borodulina. The contractor organizations that mobilized about 150-200 qualified specialists for performing the work in maximally short time periods could significantly break through the deficit of electricity in Crimea. It’s said that Borodulina became most concerned with the fact that of the several hundred diesel generators that the contractors inspected, less than 25 percent were hooked up and less than 20 percent worked regularly. The contractor organizations simultaneously expressed readiness to conduct technical inspections in case it was necessary to quickly hook up all the unplugged diesel generators, using the organizations’ own workers and their own materials. But something happened that is difficult to explain. In early December, service specialists of the contractor organizations were no longer allowed access to the generators. Representatives of the Crimean energy company Krymenergo were upholding a decree by Borodulina. What was that decision based on? How did the senior leadership not suddenly realize the risk that the contractor organizations could prove with documentation the true state of affairs with the generators? After all, of the entire lot of generators that were relocated to Crimea by December, only a fifth were hooked up and ready to work, whereas the regional authorities and federal ministers had repeatedly said that all the relocated generators were ready to work. Employees of the contractor organizations were told unofficially that the minister decided to cancel the results of the tender and all the work had to immediately be stopped. So now the issue of creating a completely new contractor organization that would handle all the work from the tender, as well as subsequent work for servicing and repairing the generators, and delivering the reserve parts, was being figured out. Simply speaking, it was as if the decision was to create yet another monopoly. One does not want to believe that the leadership of Crimea’s Fuel & Energy Ministry realized how big the piece of the pie was and decided to immediately take advantage of the situation (moreover, that the financial means had already been allocated, according to deputy minister Dyomin). The region’s residents and its infrastructure, which truly need electricity, were pushed to the side, so to say. It turned out that all the urgent work could be stopped only for the government to create a subordinate structure. So the result is that up to 80 percent of diesel generators that many months earlier had been delivered to Crimea weren’t used during the blackout, and they’ll be useless if another blackout occurs. So, why in the context of the complex situation concerning power supplies to the entire federal district did we turn our attention to the fate of the company NTT Center? It’s very simple. The example of its ordeal perfectly illustrates the manner of conducting affairs in many parts of the government as a whole. Business is exhausted by the intrusive attention of dozens of inspection agencies and occasionally by the illogical demands of officials. President Vladimir Putin recently addressed this during his speech to both chambers of parliament. However, in the case of NTT Center, it is possible to distinguish a different trend. It’s possible to threaten the existence of even a stable company (in other words, to ruin it) with arbitrary decisions by a government agency that according to unknown reasons decided that certain people (in this case, entire state enterprises) have the right to not pay their debts. Shifting responsibility of one company to another in this case is only a way to maximally blur responsibility and thus make it extremely hard to find and punish whoever is responsible. It is especially cynical that this all appears in the context that large budget funds for the organization of reserve power supplies were allocated by the prime minister’s cabinet twice within half a year. Some were paid, others not. Beginning in March of last year, the Crimean Peninsula was provided with all the necessary machinery for complete reserve provision of electricity to individuals and companies in short periods of time. Big money was allocated for hooking up and maintaining the equipment. However, up to 80 percent of the modern imported diesel generators are rotting under the open sun. Because of this, many local businesses are currently observing this mess and acquiring generators for their own needs and assuming the costs. Federal television channels and much of the media literally on the eve of the total shutoff of electricity that was provoked by the Ukrainian side sounded very triumphant. In the words of officials (and obviously in their daily reports to their bosses), everything in the region is fine. However, eyewitness statements and videos on social networks tell a completely different story. Recently the head of the presidential administration, Sergei Ivanov, described the situation with delaying the construction of the Petropavlovsk-Kamchatsky Airport and the Vostochny Cosmodrome as sabotage. Considering that, how else could the malicious, deliberate disorder and disruption of work that has occurred for almost two years regarding the provision of electrical energy to Crimea be explained other than sabotage? Or is it just stupidity? RAPSI continues to follow the situation concerning the electrical energy security of the Crimean Federal District.